When you move to Australia, the last thing you might be thinking about is updating your will. It took us a few years before we even thought about it – because of course, we’re more preoccupied with finding jobs, making sure our kids settle in and finding where we want to live. But don’t put it off forever. Having a valid will and testament in Australia is extremely important, not just for you but your loved ones as well. Please note this post is NOT intended as legal advice, it is just helping to explain some details around wills in Australia that you should know after migrating. Also, each state in Australia has different laws and regulations, so please make sure you check what your state prescribes and recognises when it comes to your wills and power of attorney documents. Firstly, think about your children. If you and your partner die without a will, the first thing that will often happen is your children will be taken into care. This is because the government has no idea who should know look after them – even if you have family in the state or country who are willing to take them in. But if you have a will in place, and have nominated guardians, they can go to the people that you know will look after them. If you die without a will, your assets are unlikely to be distributed the way you intended. An administrator will be appointed and they will distribute it as they see fit, after your debts and taxes have been covered. If you have clear ideas of who should get what, or want to bequeath certain items to certain people, a will is essential. Dying without a will can be very messy to deal with. Often it will result in unexpected costs and may take longer to resolve your affairs than if you had a clear will in place. If you don’t want money to be wasted trying to sort out your affairs, make sure you have a valid will in place. Is Your South African Will Valid In Australia? I highly recommend you speak to an experienced and trusted estate planning lawyer to answer this question. I had always believed they were not, but it appears that they can be in some cases. The tricky thing though is trying to get your will upheld if there is difficulty in obtaining the will and if your circumstances have changed so much over time that people can content it. The general rule of thumb is that if you own assets in a particular country, make sure you have a will in place in that country. So if you live in Australia but own property or assets in South Africa, having a will in both countries is the safest option that will give you peace of mind. Who Can Write A Will In Australia? The best option is to consult with an estate planning lawyer. They have the required knowledge and skills to draw up a will exactly the way you want it. There are DIY will kits but they may not be considered valid, especially if they have not been signed or witnessed correctly. Another option is to consult the Public Trustee (each state has its own Public Trustee). You can also choose to appoint the Public Trustee as the executor of your will – they sometimes will then not charge a fee, instead taking a few when it comes to dealing with your estate. Don’t forget to keep your wills up to date, whether they are in South Africa or Australia. Also consider putting in place an enduring power of attorney, enduring power of guardianship, and medical power of attorney. These are not things anyone likes to think about, but should they be needed they can release a huge burden from your loved ones’ shoulders. For more information, check out MoneySmart’s guide to wills and powers of attorney in Australia. 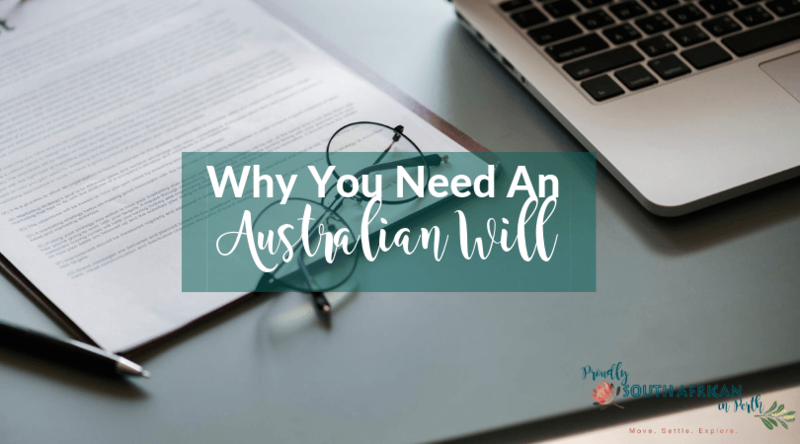 These are just a few of the reasons why you need an Australian will. So don’t delay it any longer – sort your Australian wills out today! 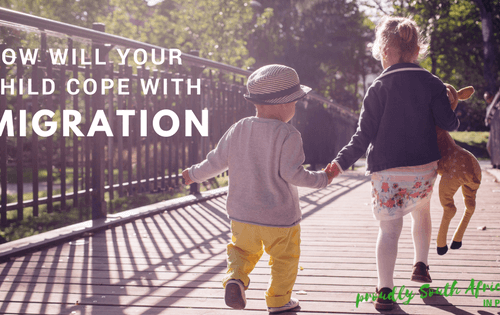 How Will Your Children Cope With Migration? How Does Childcare Work In Australia?